Imagination is key to a child’s development. Pretend play can help children develop a real concept of the real world through a whole world of imagined scenarios. How can you as parents help nurture this creative side or this ability to pretend and create imaginary worlds? 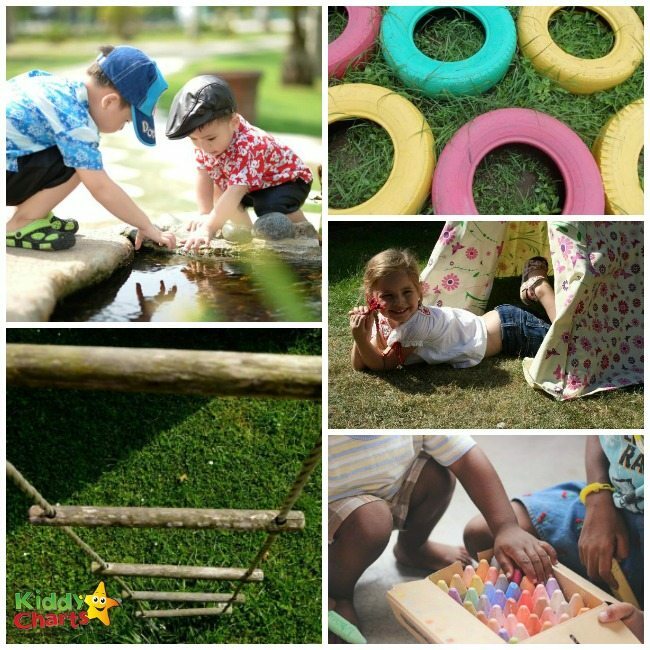 We have come up with five practical ways to help create play spaces that are perfect for imaginary play. Dens can be very practical in creating a play space for children where they can explore a world away from prying eyes. Not only can dens create a cosy nook to read a book in, but they can open up a whole realm of possibilities when it comes to the imagination. Having a quiet reading area for your children, can spark these creative thoughts – after all it is children’s novelists who can conjure up and create amazing adventures and imaginary worlds between the pages of their books. There are many ways to build a den. You could suspend a sheet between two pieces of furniture to create a tent-like structure, or pile cushions up to create the walls of a fort. There are also many play tents available to buy in almost every colour or pattern you can imagine. There is a good range from Big Game Hunters, including some very cool wigwam or teepee style play tents. These play tents can be used inside or outside, but you could always try building your own teepee or wigwam in your back garden using rope, long branches and leaves or ferns as the covering. Sometimes the best catalysts for imaginary play are those very ordinary objects that as adults, we may see as mundane or boring. If you have just had a washing machine delivered – or something else that came in a large box, make sure you recycle all the plastic packaging and use the box as the starting point for some exciting adventures. A large box could be anything from a bus to a rocket ship – or a shop front of a travel agents or post office. 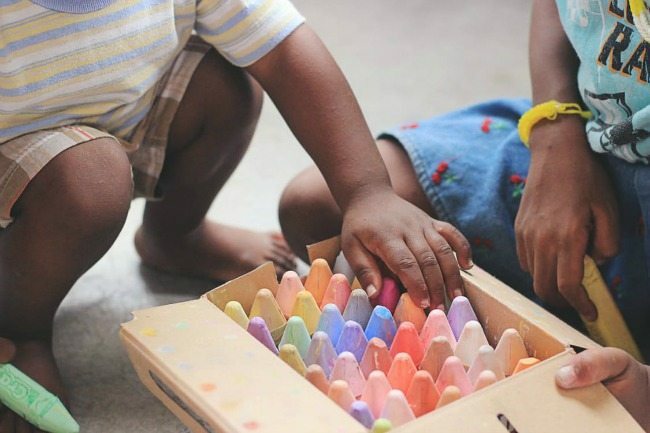 You can find more recycle and reuse play activities in this pinterest inspiration area. Using an area in your garden to create an imagination space for your children, is a great way to stimulate their minds. You could section the area off with bamboo fencing, sleepers, or use the natural landscape if there are trees or hedges. You could get some chunky chalk, and draw on stones or a patio to create an area – or just let their imaginations run wild with the chalks! A busy road network, space travel and much more can all be created from simple chalk scribblings! In this area, you don’t need to include toys – use things from your natural surroundings to create things to stimulate the senses. You could make stepping stones using rocks or tyres, or hang things from a tree (if there is one nearby) or create a pit for them to dig in. I’m not sure there are many children who do not get satisfaction from digging! This option is not for those short of a few DIY skills, but there are many guides out there to give you some necessary tips if you aren’t too shy of using wood, hammer and nails. If you don’t quite have the confidence, there are playhouses and climbing frames out there that can emulate the feel of a tree house – by being on stilts. Action climbing frames has an impressive frame called the Gate Lodge which is just like a tree house. You can add all sorts of things to your tree house – a telescope as a look out post, a rope ladder as a getaway route – all accessories available to buy for around £20 or less and perfect for creating that other world. 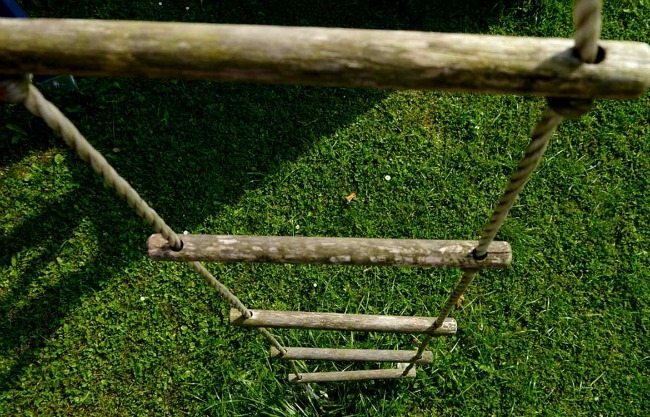 Do you know how to build a tree house? If not here are some step by step instructions. This may be easier for some than others – and obviously will require adult supervision. A pond in your garden will create a myriad of different scenarios, but failing that a paddling pool or water play station in the summer could be just as good. Paddling pools can be picked up quite cheaply. You can also look at ‘above ground pools’, which are slightly larger than paddling pools, but start at around £30 for an 8ft pool so you get a reasonable amount of space for your money. The other option is to create a water play station. You can use a big basin, or a plastic sandpit (if you have one) – just empty the sand and fill with water. Just like play in the bath, children love playing with water and can create a whole miniature world in amongst the ripples. Add plastic cups or sponges to the water, so they can pour and squeeze the water out from a height. If you want more water play activitiy ideas you should check out these 75 water play activity ideas. Do check our awesome activities for kids Pinterest board for more fun ideas for your little ones.